The Bar Attachment Riser will take your table to the next level, literally! 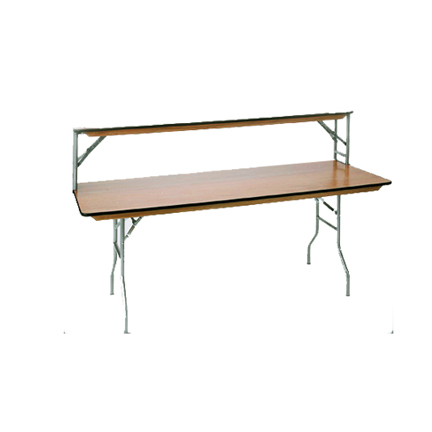 The riser attaches onto a thin table edge to create a bar for the banquet tables. This works great for food and drink, hospitality services, or galas that need high volume service. 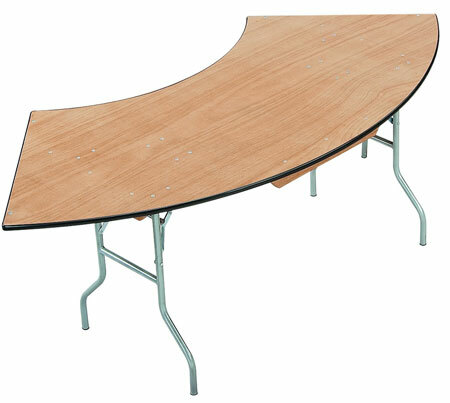 To complete the look Peter Corvallis Productions offers table skirting options. 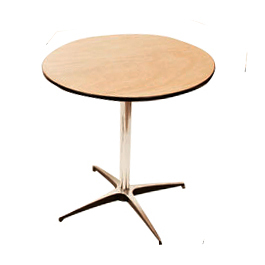 Round Tables are wonderful personality pieces and great for tight spaces! They work beautifully with linens, or can be displayed on their own utilizing the wood top finishing. Multiple sizes are available including 36″, 48″, 60″ or 72″ round. The round tables easily collapse for easy unloading and moving from a chic corporate party to a wedding reception – it’s perfect for everything! 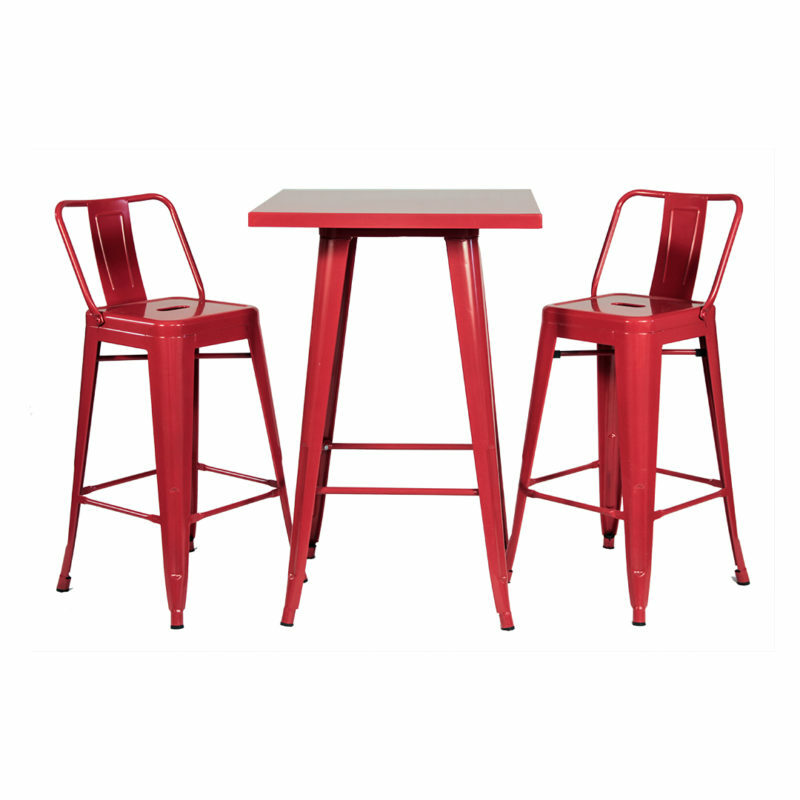 The Red Metal Bistro Stool is a vibrant seating option for your next lounge or corporate party! 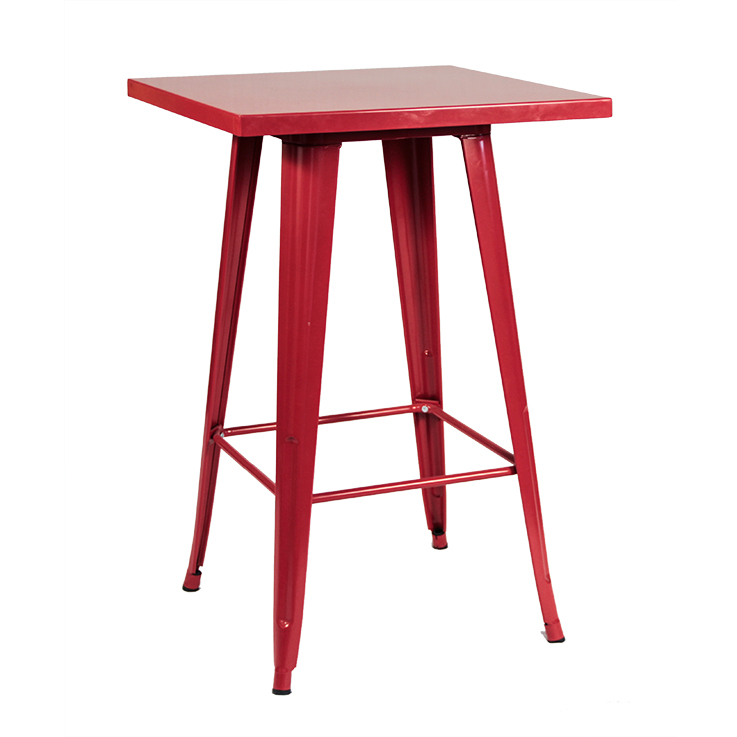 This piece can be paired with our Red Metal Bar Stools for a complete seating area for your guests. 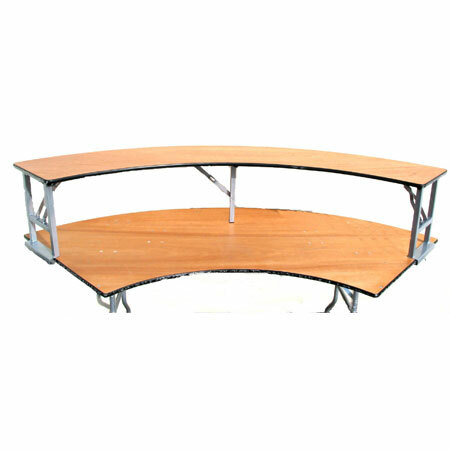 The table feature a built in footrest. 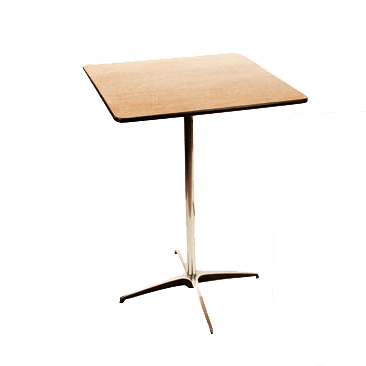 The Wood Top Adjustable Bistro Table is a table with warm wood and cool steel accents. These table spins giving your guests a full view of the party! 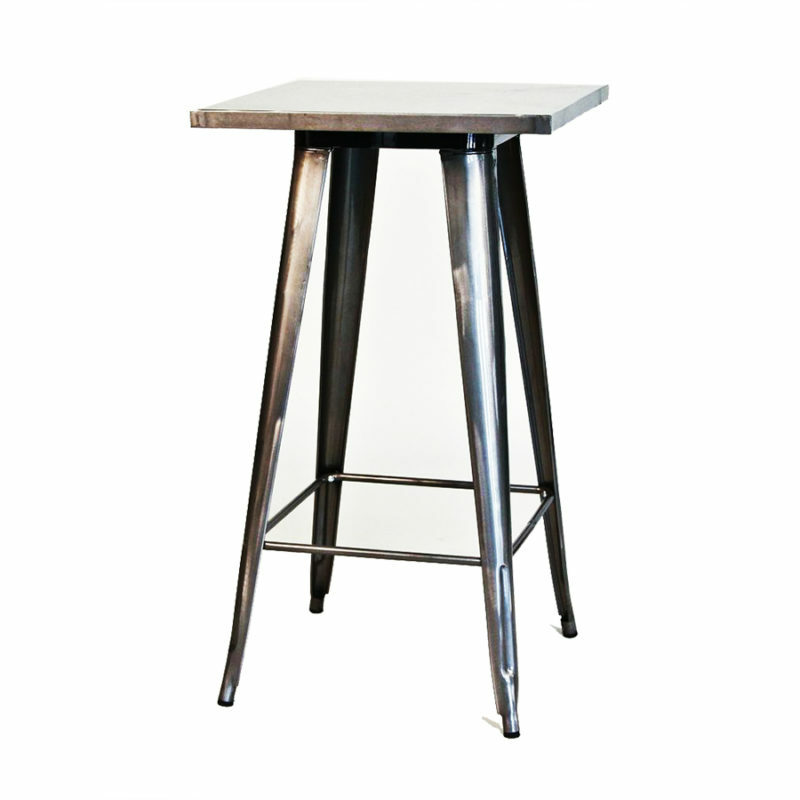 The Galvanized Bistro Table is a sturdy, steel bistro table that plays well with other metals and tones. 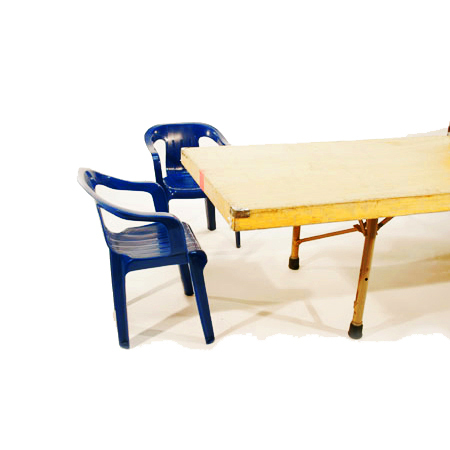 No assembly required, these tables are UV resistant, and versatile. Use them outdoors or indoors to add a vintage appeal while still keeping guests comfortable and stylish. 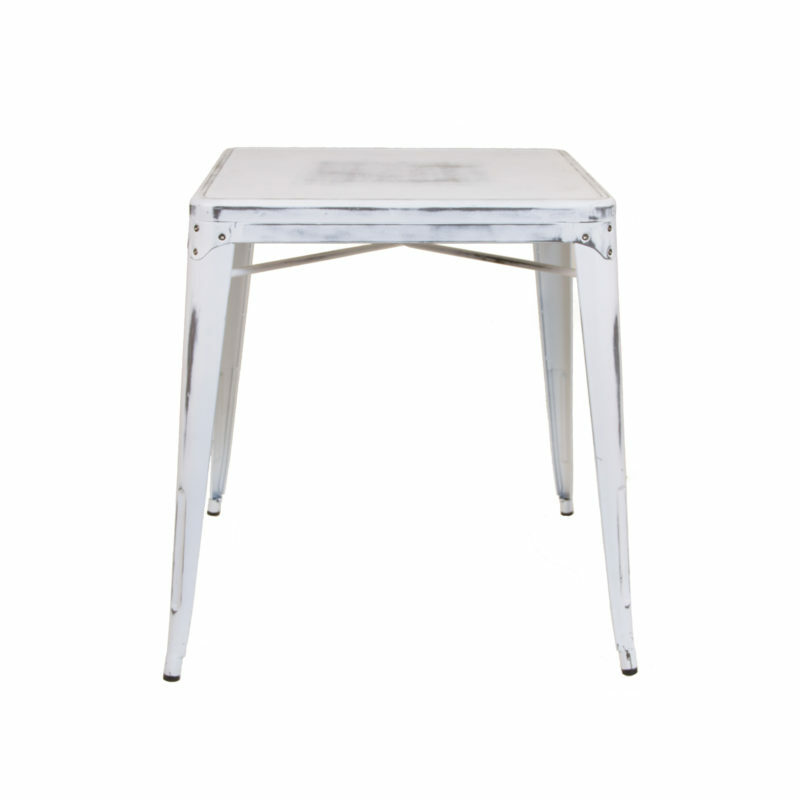 The Metal Square Side Table is an industrial table with a beautiful patinae. 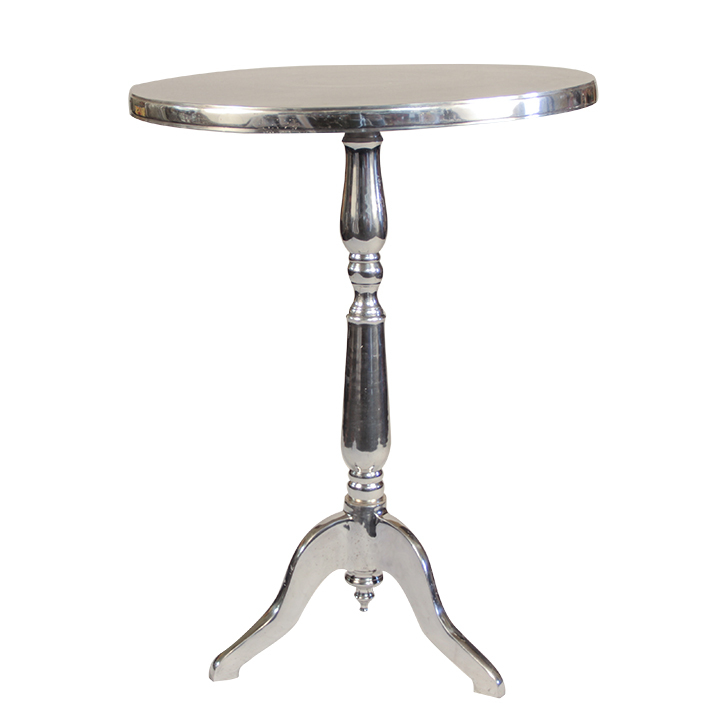 The square table features a white metal with brushed accents showing through, giving this piece quite the character. 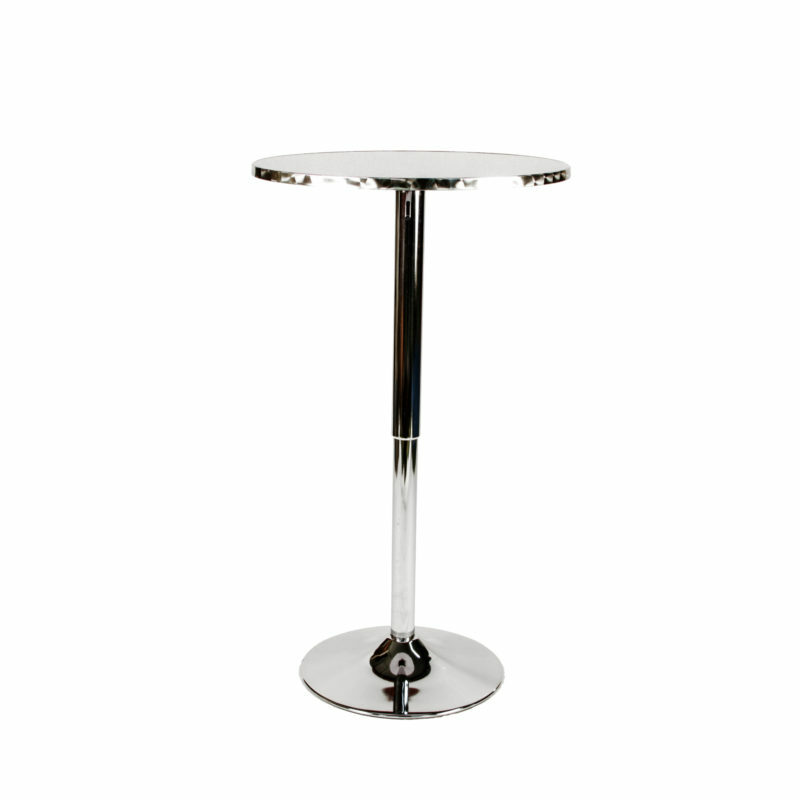 The Silver Adjustable Pedestal Side Table is a modern table! The height makes this bar perfect for reception areas and lounge decor. 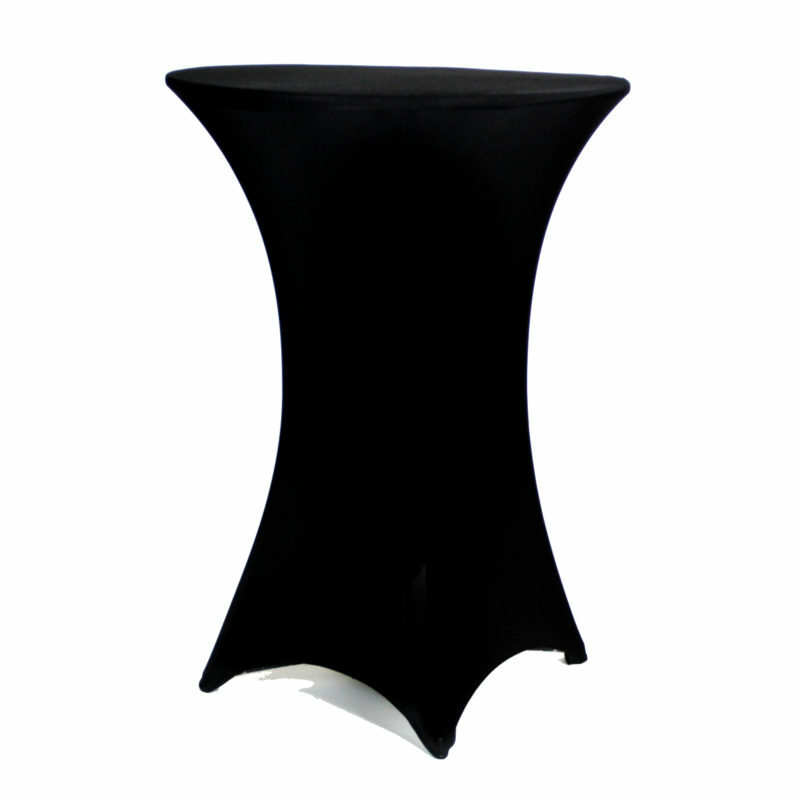 The Birch Laminate Table is the perfect accent table for your chic Northwest wedding rental! 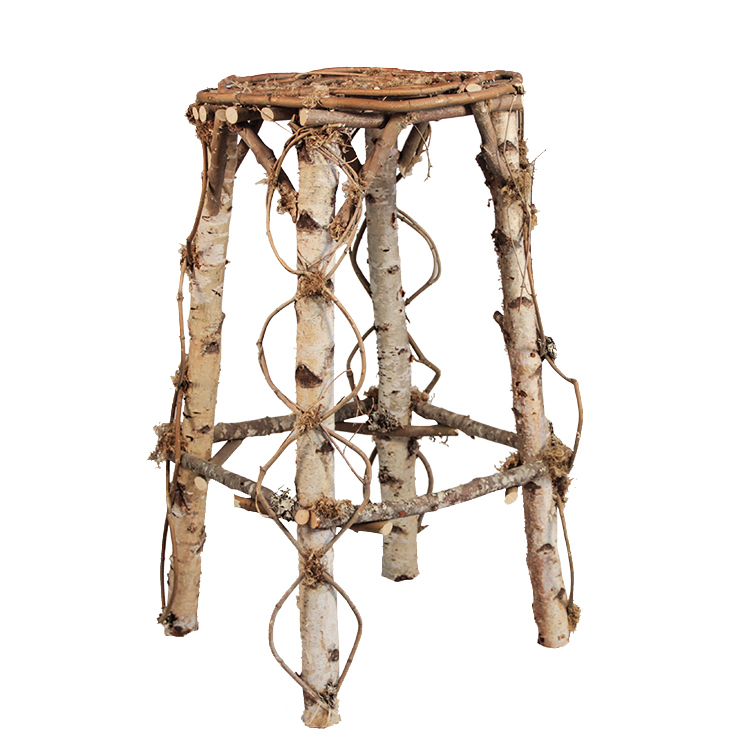 This one of a kind piece features birch wood and a textured surface, perfect for accent pieces and table decor! The Birch Laminate Square Accent Table pairs well with our other wood accent pieces, and a Peter Corvallis Productions event coordinator is here to show you the possibilities! 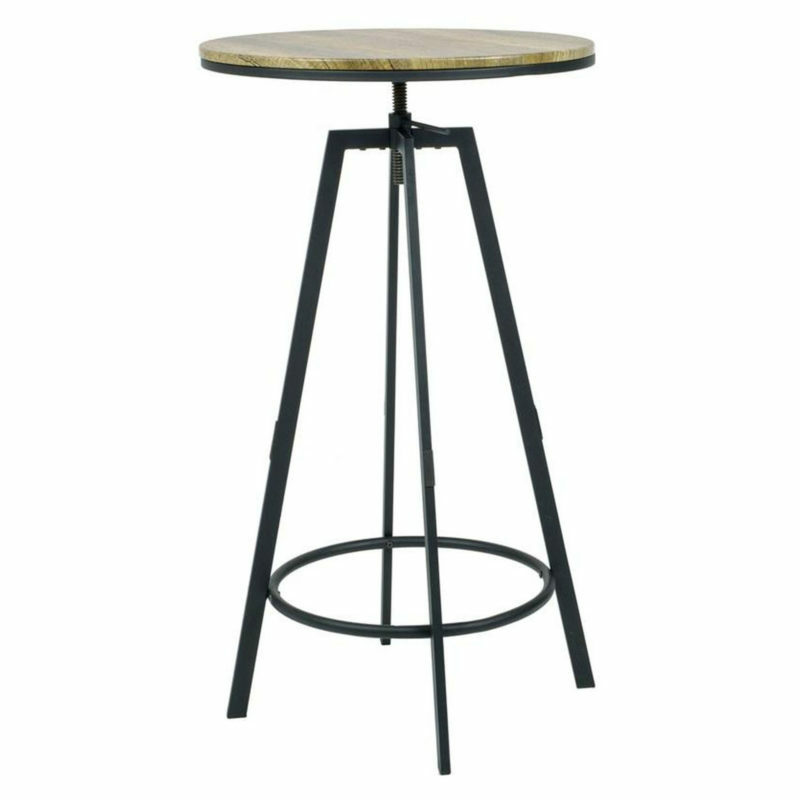 The Wood Spiral Bistro Table, Small is an unique piece perfect for Garden and Portland themed parties! 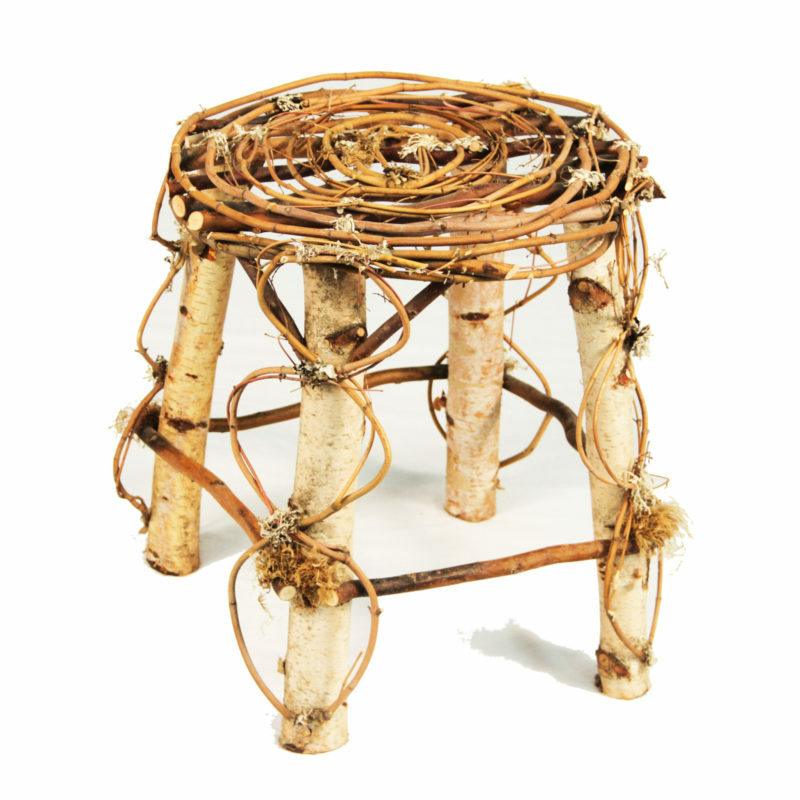 The all natural wood is joined with moss and other accents to create a real to nature piece! 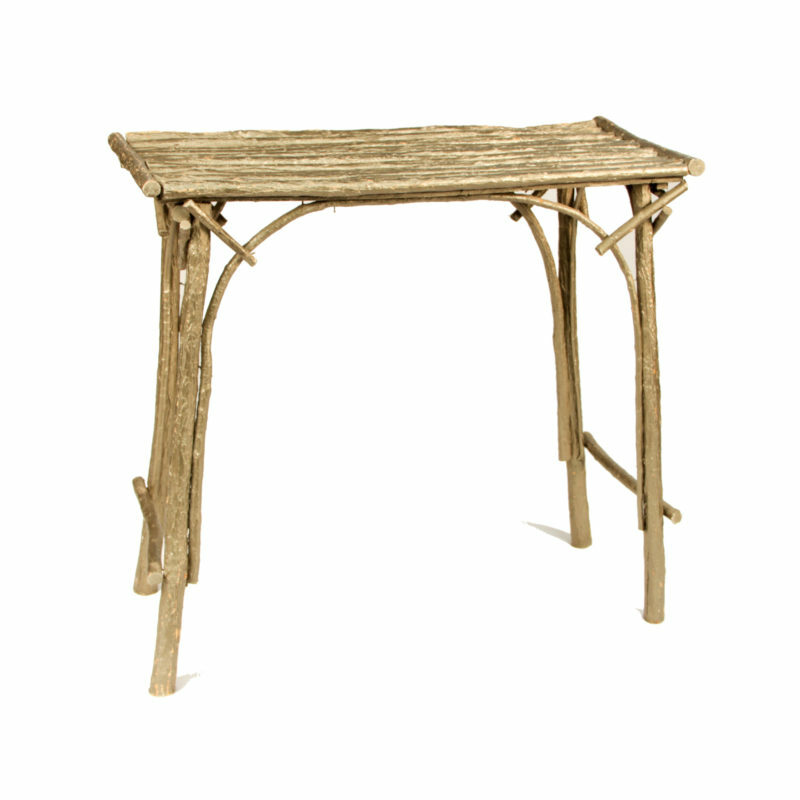 This table is a great accent piece you and your guests will love! When you want a beautiful wedding with rustic charm, or an elegant evening with a chic country look, consider the Farm Table. The textured wood pairs beautifully with our back oak chairs to elevate your event and create a warm, charming look. 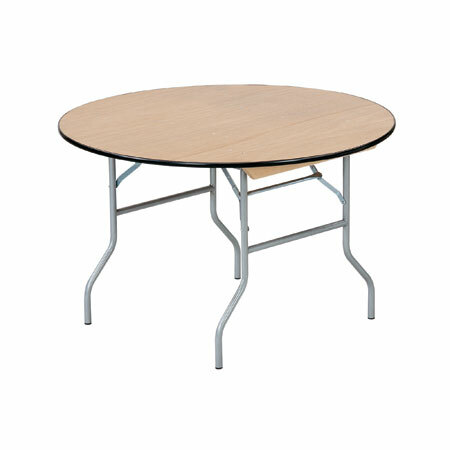 The table is made of sturdy wood and is 36″ x 96″ wide. When you want a beautiful wedding with rustic charm, or an elegant evening with a chic country look, consider the Farm Table. The textured wood pairs beautifully with our back oak chairs to elevate your event and create a warm, charming look. 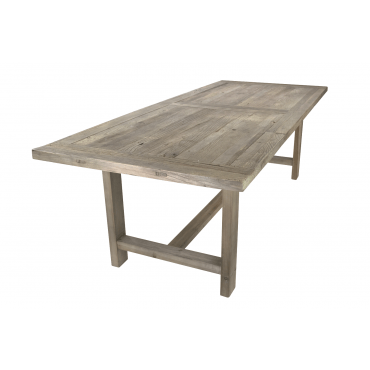 The table is made of sturdy wood and is 40″ x 72″wide. When you want a beautiful wedding with rustic charm, or an elegant evening with a chic country look, consider the Farm Table. The textured wood pairs beautifully with our back oak chairs to elevate your event and create a warm, charming look. 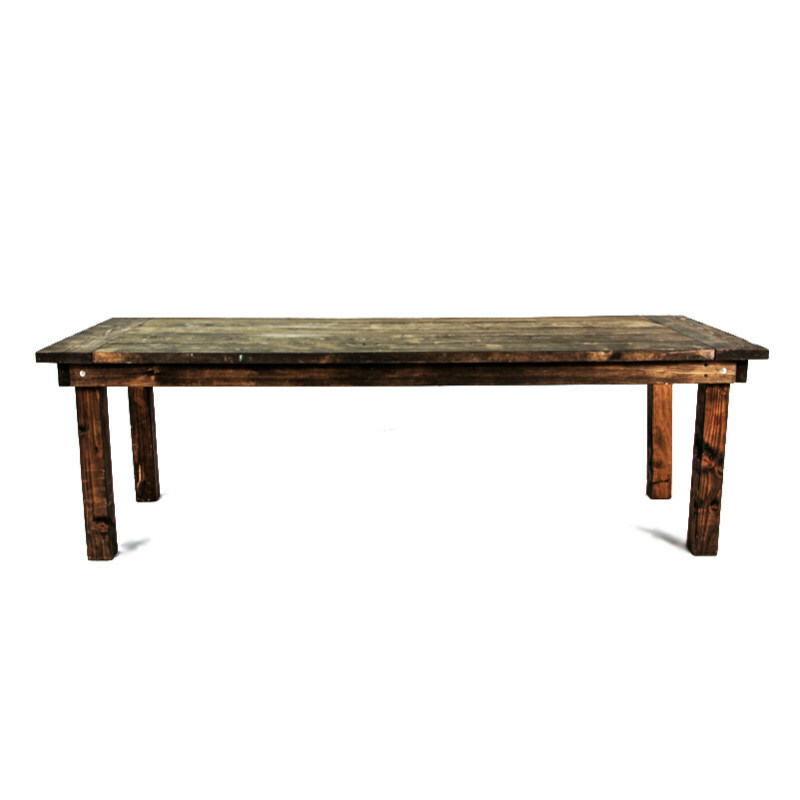 The table is made of sturdy wood and is 40″ x 96″ wide. 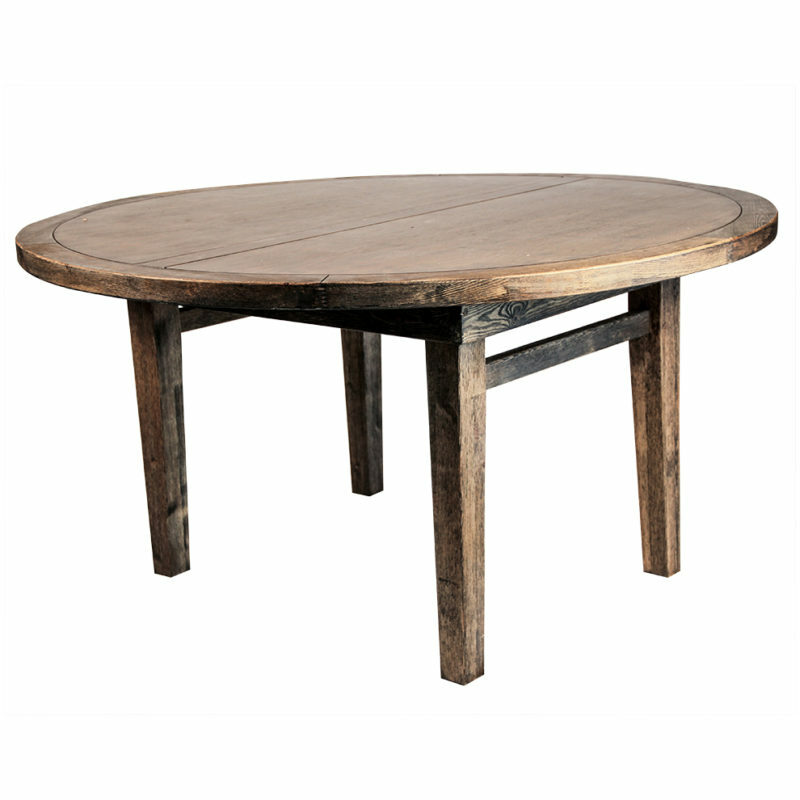 Keep your guests around with our Round Farm Table! 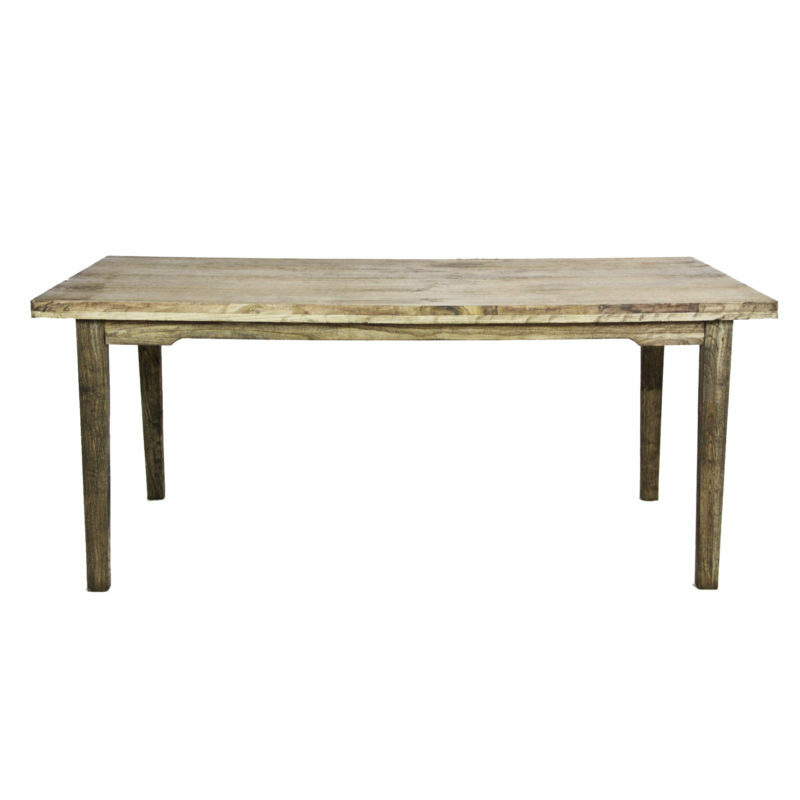 The table features smooth, rustic wood and a sturdy inline construction. 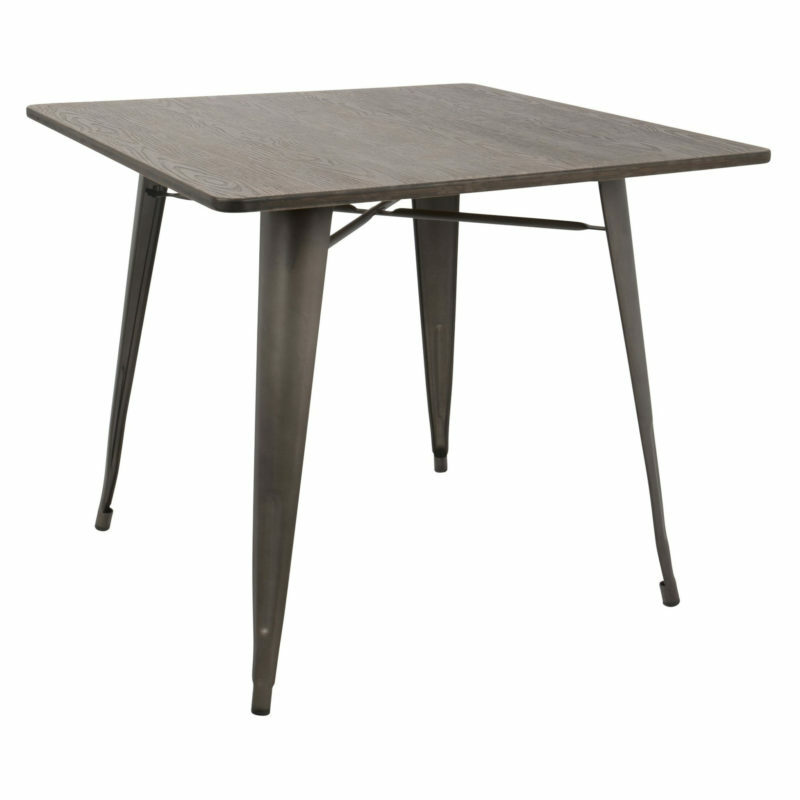 With the legs included in the base this table is a dream to set up and break down! The Children’s Table is pint size in the best way. This children's table seats up to ten and pairs well with our children’s chairs, bistro or wood. 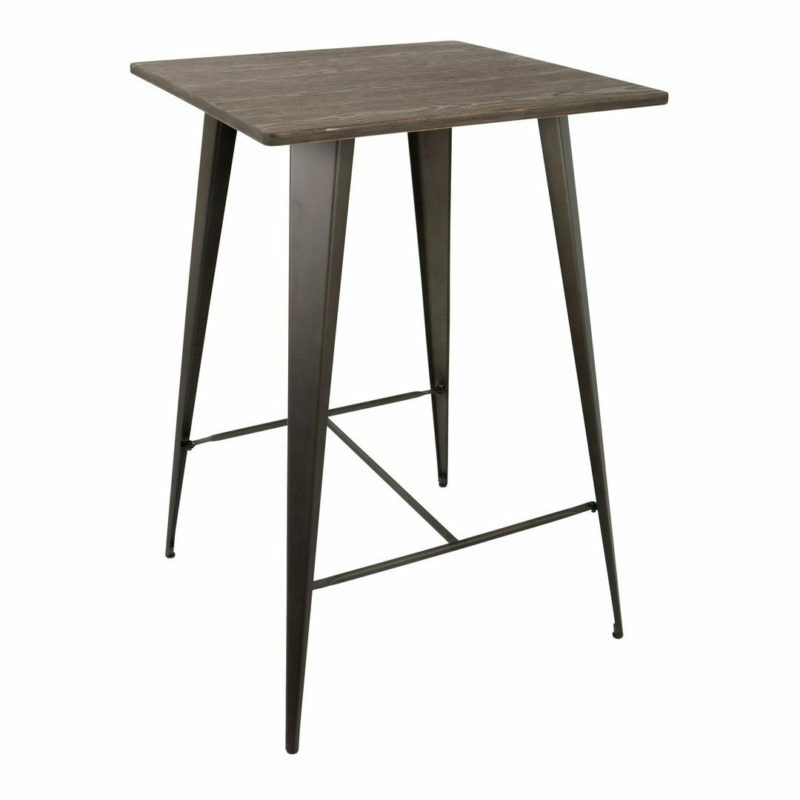 Made from high quality wood the legs include stoppers for security. 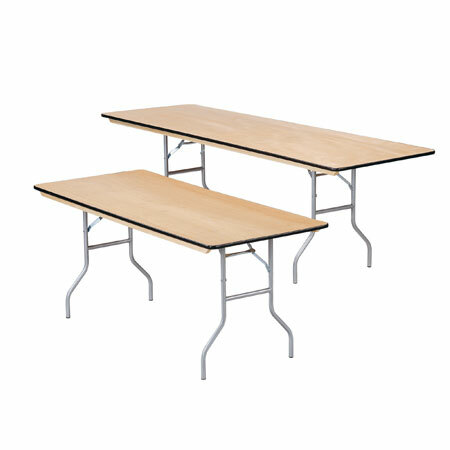 Make your next children’s event in Portland just for them with our children’s table. 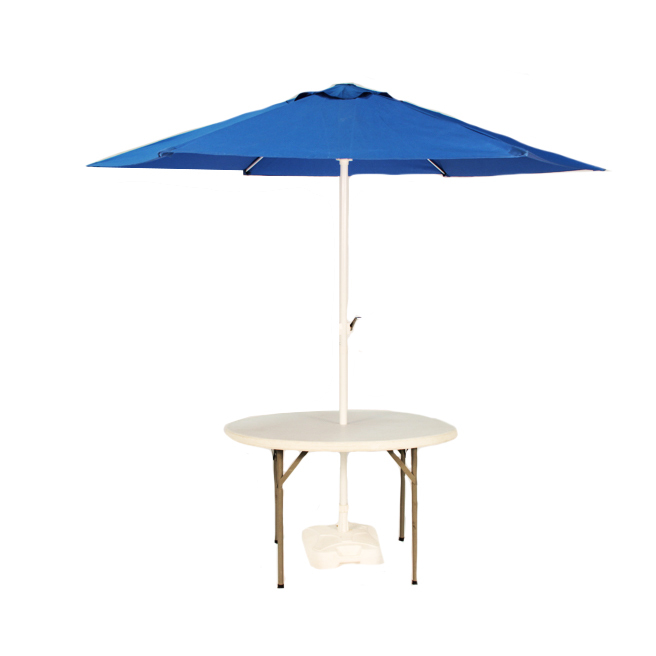 The Umbrella Table is the perfect patio table! 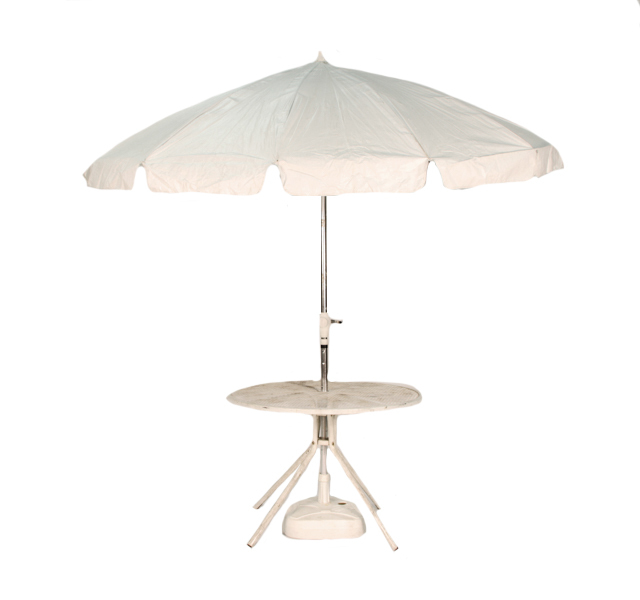 Keep summer guests nice and shaded with a variety of table and umbrella options. Let us match your theme and decor using a mesh or metal table with freestanding umbrellas in a variety of colors. The umbrella is held in place with a white water base holder.